Chelsea have suffered an indifferent season this year and it has led to manager Maurizio Sarri’s head being very close to the chop. 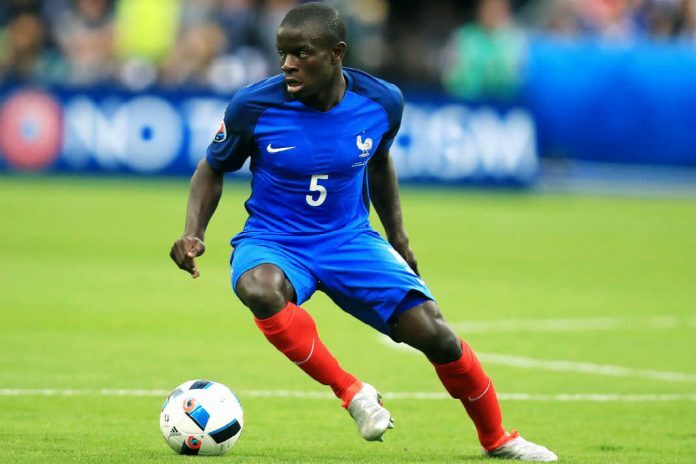 One of the standout decisions has been to play N’Golo Kante, possibly one of the best defensive midfielders in world, in a more attacking role as he favours Jorginho in the defensive role. However, should he return him to his natural position? Kante has been impressive ever since he arrived in England with Leicester City as he helped them win an unlikely league title in 2015/16. He is also the first player to win back to back league titles with two different clubs as he picked up the league title with Chelsea in 2016/17. In roles alongside Danny Drinkwater and Nemanja Matic he did all the dirty work as he ran and ran supporting the calmer two midfielders. That is not saying that Kante does not have technical ability on the ball as he can carry the ball with ease usually after dispossessing the opponent. However, his qualities lie in the fact that he can hustle and harry players not being the creative one in the midfield. With Ross Barkley looking on from the side lines he will be frustrated that he cannot play that role. Jorginho was brought in by Sarri and is a favourite of the manager having worked with him at Napoli. The Brazilian’s development has been down to the tutorship of Sarri and the two have a very good working relationship. However, he has stuck with Jorginho in the defensive midfielder role over Kante even when the pair have struggled in their respective roles. Perhaps it is doing a disservice to Kante because this new role is out of his comfort zone whereas Jorginho has played “Sarri ball” before and knows what is required. Kante is now expected to play as a central midfielder but do things that Frank Lampard used to do for Chelsea; arrive late and contribute offensively. At times this season he has struggled but in recent weeks he is starting to adapt to the role, such is the character of Kante he will never moan or have a bad word to say about a manager. He will not even have a bad word to say about his fellow teammate and positional rival Jorginho, he said that he knows the philosophy of Sarri and that he is very important to the Chelsea side. His contribution offensively so far includes three goals and four assists. Sarri is trying to get the best out of Kante but in a role higher up the pitch. So he has to keep the intensity up but at the same time contribute in and near the opposition box. Personally it seems a waste to have Kante playing in a higher role given how superb he has been for Chelsea and France but Sarri is trying to juggle two players and keep them happy. If you want the best N’Golo Kante you play him in his more natural role but to accommodate the two Kante will have to change his role not Jorginho. 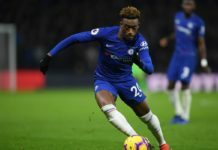 Should Maurizio Sarri be playing Callum Hudson-Odoi more?